A small patch has been pushed to the PBE! 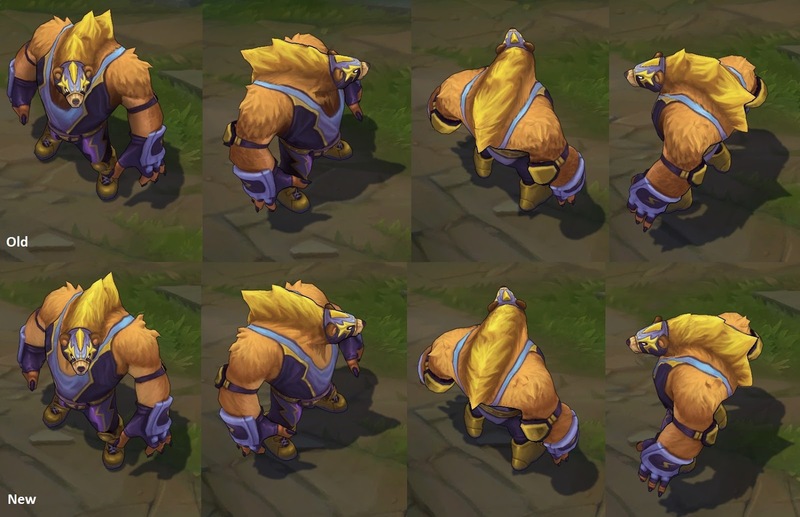 As the 6.11 PBE cycle starts to wind down, today's update includes tweaks to the upcoming El Rayo Volibear skin and more! El Rayo Volibear has received texture tweaks in today's update, including changes to his fur, colors and outfit details - he now has a small lightning bolt on the back of the outfit.